Runners are always so concerned about their shoes that they often overlook the importance of a good running sock. The best running socks for men and women can be ankle high or knee high, depending on their use and your preference. Gear-conscious athletes buy special socks because their feet sometimes encounter special conditions. Uncomfortable pressure points, arch strains or sweaty feet are conditions that make every runner want to have good running socks which will help them not only reach the finish line but do so blister-free. 1 What Should You Keep in Mind Before Buying Running Socks? What Should You Keep in Mind Before Buying Running Socks? 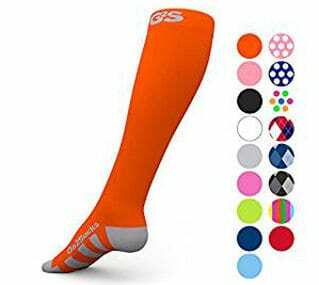 It is necessary to resist the temptation of simply buying a pair of sports socks and it is best to opt for a pair of socks that is specifically designed for running purposes although these are a little more expensive. Compared to regular socks, running socks have cushioning, which is especially important while running day after day. A good pair of running socks will also produce a tight feel around the middle of the foot and heel, but at the same time they should also leave plenty of space between the toes. If you need cushioning, try a thicker sock. If it makes you feel very heavy, then you should look for thinner socks. 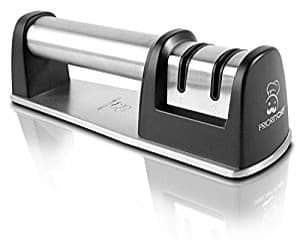 You may prefer a special length with respect to your knees or special cuts such as a flange on the back if you have problems with the heel when rubbing against the shoe. The key is to choose a sock based on your personal needs. You should know when it is the right time to throw away your running socks and that is when they have lost their shape or cushioning which is the result of a long period use, getting washed repeatedly, etc. 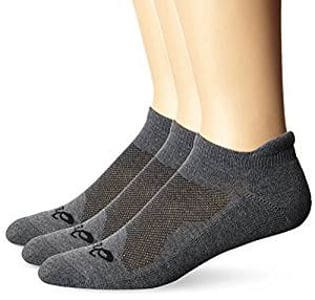 The running socks should feel like a mold around the contour of the feet, and if they are not, it means that they are not suitable for your feet anymore. If that is the case, they do not offer protection to your feet, so it is time you bought new ones. How Should you Care for your Running Socks? Use them only for running. Do not use whitener liquid. Dry them in the air. Follow the manufacturer’s instructions for washing. This Saucony Men’s No-show Sock is a perfect combination of comfort and support. It has an excellent quality and is well-designed and made of 95% polyester, 3% Rubber and 2% Spandex. It is imported and can be machine washed. 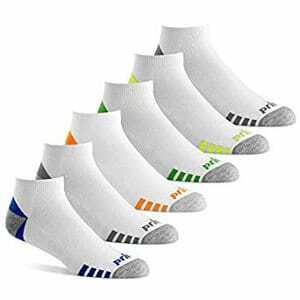 This is a six packs set of no-show sports socks with arch support, air mesh venting, and moisture management features that give a lasting comfort. These socks make the runner’s feet as well as toes feel breezy and drip sweat off the feet, making them feel swamped inside the shoe. This great foot cover can also be used in the rain without becoming slippery. In addition, the fit through the midfoot is secure and will not give any blisters. The heels and ankle are tight enough for the wearer’s foot to feel snug without any loss of circulation. 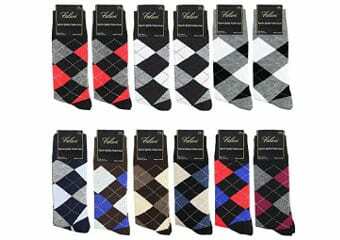 Overall, these are well-designed and made of good quality material socks that are not expensive. 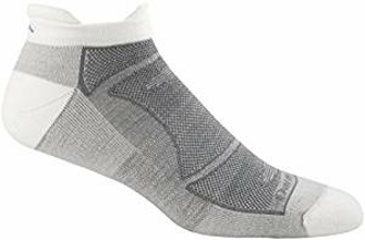 These Balega Athletic Running Socks for Men and Women is a combination of mohair and Drynamix for the perfect blend of nature and technology, keeping your feet dry and fresh. The Drynamix is designed with a medium volume of construction consisting of Drynamix polyester 54%, wool 35%, nylon 6%, neofil 3% and elastane 2%. The Drynamix takes moisture away from the skin while the Mohair holds the moisture thereby keeping it warm during winter and cool in the summer. 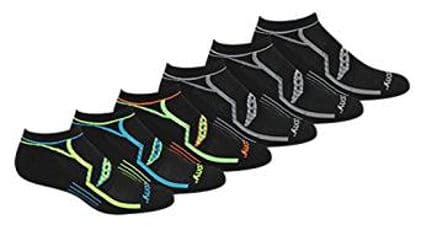 This product has also incorporated a hand linked seamless toe which has been race-tested and found capable of eliminating abrasion across the top of the foot to give comfort. In addition, there is a high tab heel that ensures that your socks stay in place and provide a comfortable fit, which is perfect for running exercise and training. These socks are like pillows for your feet and you can wash and dry them with no issues. 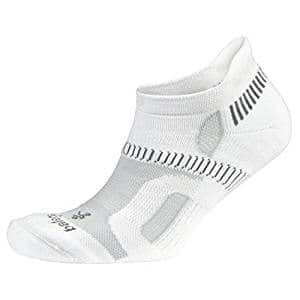 This Athletic No-Show Running Sock has an imported hand-linked seamless toe closure with heel tab that helps prevent the sock from slipping into your running shoe. It also helps to keep the feet fresh and dry while allowing free airflow for maximum comfort, performance and durability. It comes fitted with a newly improved elastane, and has reinforced heel and toe with mesh construction for ventilation as well as a plush under sole cushioning for extra protection and more structured fitness. This product is made of the finest of materials Drynamix Polyester 84%, Polyamide Nylon 14%, Elastique 2% and 100% other fibers. It is knitted to include an extra deep heel pocket ensuring that each sock fits the foot perfectly and does not slide down when running. In addition, it absorbs sweat and is comfortable, soft, well-constructed and great for training. 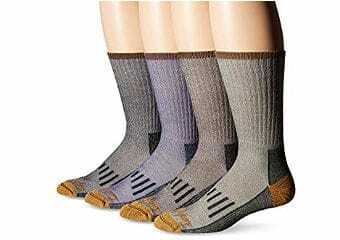 As a running sock, it is quite durable and is available in several colors. 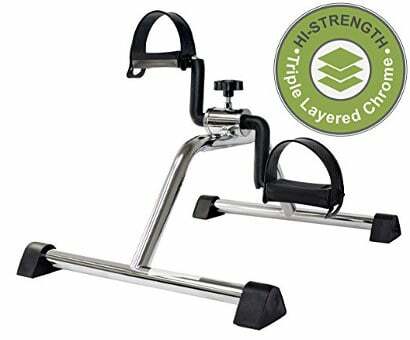 It is also suitable for aerobics, weight training, plyometrics and cardio dance. This Asics Unisex Cushion Low Cut foot cover is made of a super soft sole cushion material and is knitted in mesh for ventilation, breathability and comfort for athletes. It also has a single tap ankle fit and seamless toe to protect against irritation as well as provide greater comfort. This product comes in a three-pair pack and is made up of quality materials (98% Polyester and Spandex 2%.) It has a Y heel gore and a cloud-like plush low cut giving excellent performance. Users review that these socks have a snug fit and they are very comfortable, soft, supportive and roomy, keeping their feet dry and fitted. They are well padded at the front of the foot as well as the heel and they don’t slide down when running. Overall, they are well made as well as affordable and they prevent blisters. This Balega Hidden Contour Running Sock is elastane made with a medium volume construction, a reinforced heel and toe with mesh construction for ventilation, and a plush under sole cushioning for extra protection and structured fitness. This product is made of the finest materials: Drynamix Polyester 81%, Nylon 13%, Micro fiber 4%, Elastane 2% and 100% other fibers. It is snug and feels molded to your foot like a pleasant hug, but without feeling like a compression sock. It is also extra comfy and comes in several beautiful colors. In addition, it comes fitted with a little tab at the back of the heel which is perfectly placed. If what you want is a barely show running sock, then the cut of this sock is designed to give you just that. The Go2 Compression Sock for Men and Women helps to enhance your daily performance as a 20-30 mmHg graduated stocking which offers you a wide range of benefits. It is recommended for athletes, runners, doctors, pregnant women, travelers and nurses. It is manufactured with the best of the fabrics which can be machine washed and tumble dried. The fabric has been shown to stay firm and fitted on the foot with a 100% guarantee of durability and satisfaction. For maximum comfort, this beautiful sock helps the user avoid foot offensive odor, bacteria and moisture while the extra-cushioned sole reduces the risk of exposure, providing significant relief for aching leg, calf, ankles and feet. Its firm compression helps support old and new injuries as well as improve your running, hiking, biking and every other exercise you do. It is generally recommended to help quick recovery, improve blood circulation and relieve tired and fatigued feet in pregnant women. Finally, it comes in a wide variety of funky colors and is available in 1 or 2 pair packs. These Men’s Low-Cut Performance Athletic Socks for Running are dedicated to provide the best for men and give a 100% satisfaction guarantee. They can be machine washed warm with like colors (only with non-chlorine bleach) and can be tumble dried on low heat without losing their shape. The cushioned sole gives this athletic sock an entirely soft and padded feel and the spandex blend forms to the foot for superior shape retention, support, and compression. The mesh design offers a breathable zone with a lightweight synthetic blend increasing ventilation to control the moisture and making the feet fresh and dry. The smooth toe seam reduces abrasion and provides extra blister protection. This is a good quality foot cover that is perfect for runners, tennis players as well as for casual use. It is comfortable, fits snugly to your foot and provides a little extra padding where you need it. 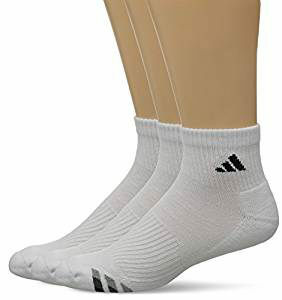 The Adidas Men’s Cushioned Compression Sock is a quarter-sock in a pack of three which keeps your foot cool, dry and comfortable with the help of ClimalCool technology to wick moisture. To athletes, Adidas cotton quarter sock provides compression and offers comfort when playing on and off the field. It is also recommended for ankles with injuries. 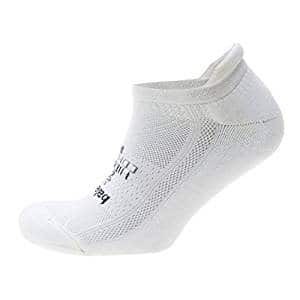 It is designed as seamless toe sock making it comfortable and an easy fit for any shoe size. 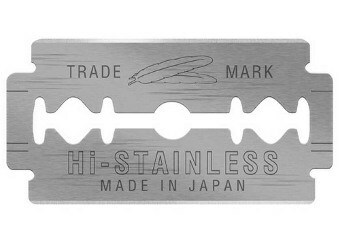 In addition, it has an elastic band of about 2-3 inches that makes it stay firm without being uncomfortable. It can be worn for training, running exercise and day to day normal activities, at home or anywhere you want to wear it to. The extra cushioned sole gives it a perfect fit and some additional comfort. This product can be machine washed. It is of good quality and inexpensive. Using A-swift Compression Socks stimulates blood flow, improves oxygen delivery to your muscle giving faster recovery and a better performance as well as reduces foot and leg swelling, cramping and lactic acid production. It helps prevent injuries like a muscle pull as well as blisters, blood pooling and others. It is made from a silver yarn anti-bacteria fabric that helps regulate temperature by keeping you warm when cold and cool when hot. It is lightly padded at the ball and on top of the foot to promote comfort and eliminate abrasion and foot stress. It also deodorizes and keeps your feet dry and comfortable. It is unisex and perfect for running, walking, playing football, baseball, basketball and every other activity. 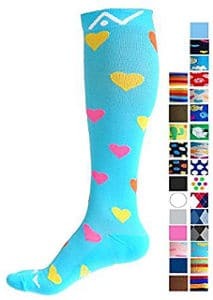 Pregnant women and nurses can also use this sock for their day-to-day operations offering a graduated compression of 20-30mmHg and providing faster muscle recovery. The No-Show Light Cushion Athletic Sock is made to offer maximum comfort. 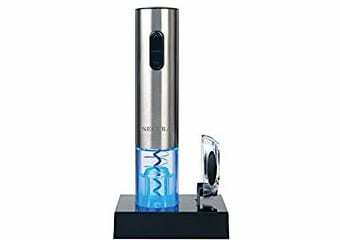 It is well-designed for men, durable and unconditionally guaranteed for life. This product is made of the finest of fabrics: 51% Merino Wool, 45% Nylon and 4% Lycra Spandex. 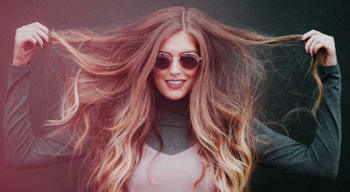 The merino wool is antibacterial and odorless. It can be used to snowboard, hike, bike and run in the most unforgiving climate. It also features cushioning on the base of the foot and keeps you blister free. Its seamless construction provides a smooth performance fit, no slipping and no bunching, keeping the feet dry and cool. It feels soft without stifling the wearer’s feel of the road and wicks away moisture pretty well. It is also deodorizing and quite fashionable as well. 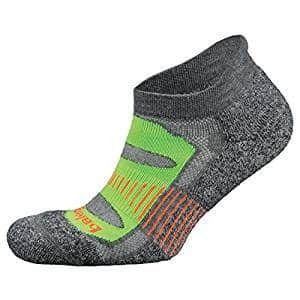 All in all, in this review you can find some of the best running socks for men and women as well as some useful information to choose a good quality running sock that is right for your needs.